“Moonflowers” – with a nod to my favorite rock band, and the best guitarist of all time. Anza-Borrego Desert State Park, and the small community of Borrego Springs contained within, have had a reasonably nice wildflower bloom this year. That’s great news, since it has been awhile since the last nice bloom there that was not adversely affected by the black mustard plant. 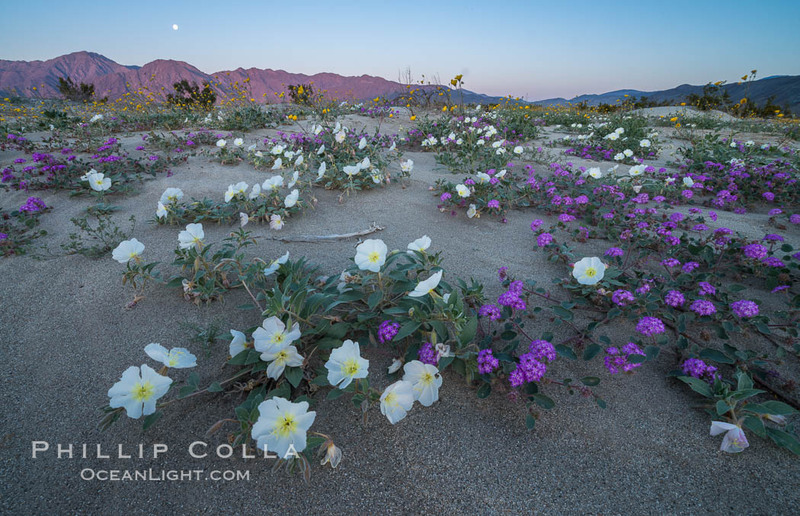 Alaskan photographer Ron Niebrugge kindly kept us up to date on the bloom from his winter location in Borrego Springs, and I managed to get out and try my hand at wildflower photography five times over the course of a week. 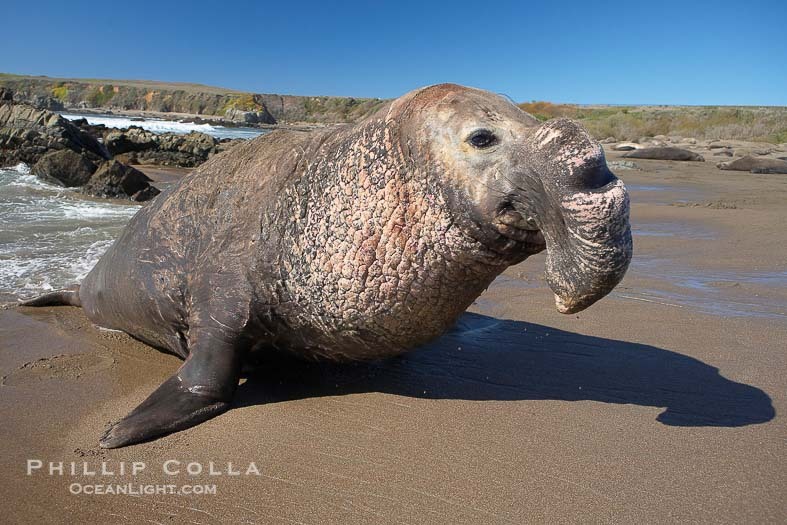 Anza-Borrego is only 75 miles from my home in Carlsbad, and the entire mountains along the way are beautiful right now, including the oaks on Mount Palomar and the rolling hills around Lake Henshaw, so the drive itself was fun each time. 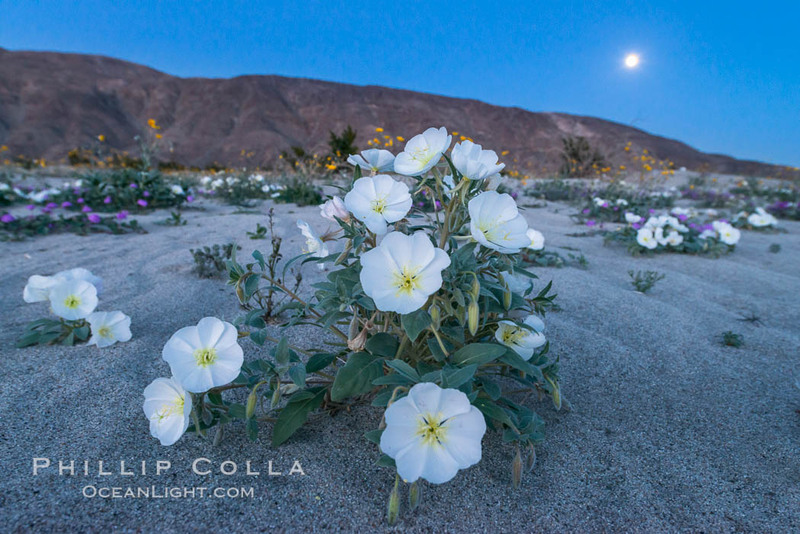 My first visit was actually a detour on the way to Death Valley, so I really just went to scout and find the densest, healthiest patch of flowers I could find, free from the hordes of caterpillars and footprints that had overtaken DiGiorgio Road a short time before. I did have some great evening storm clouds over the flowers, and managed a few photos. I found the best area well to the north of Henderson Canyon Road. From just before before a big rain, to a few days after the rain and then into a dry hot spell, I was able to watch this one patch of flowers flourish with moisture, rise out of the sand and bloom, only to be overtaken by moth caterpillars and dry conditions and soon reduced to virtually nothing in 9 days. Having not had a chance to really photograph my favorite wildflower — the dune evening primrose (Oenothera deltoides) — in some years, I tried photographing it in as many ways as I could think of, knowing it will probably be some years again before I see such nice displays. I shot these commando, working quickly and in one instance shooting handheld, while the moon rose (top photo) and fell (bottom photo). Cheers, and thanks for looking!